Welcome to the first Minisode of the BlueBird Podcast. To launch this program I have created new service packages I call “pick my brain” sessions designed to help you improve your social media and content marketing efforts. Over the last seven years, I have helped many small business owners, organizations, and individuals to be more effective with their social media and content marketing efforts. I help create social media strategies, provide outsourced community management services and coach groups and individuals to use Facebook, Twitter, Instagram, their blog and other tools effectively. Often I get asked to meet people for coffee or to set up a one-off session to discuss the overall strategy or help a business improve a particular area of their online marketing. To make it easier to do this I have set up a simple booking tool that you can find on my website. You can simply pick a time that works for you and I will send you a link. We then meet face to face using our computers and I will send you a recording of our call afterward. 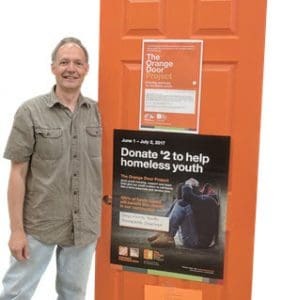 To kick this off I will donate $10 from every pick my brain session booked in June to fight youth homelessness. Oh hey, one more thing – if you are signed up to my email list you can get one of my short sessions for free!